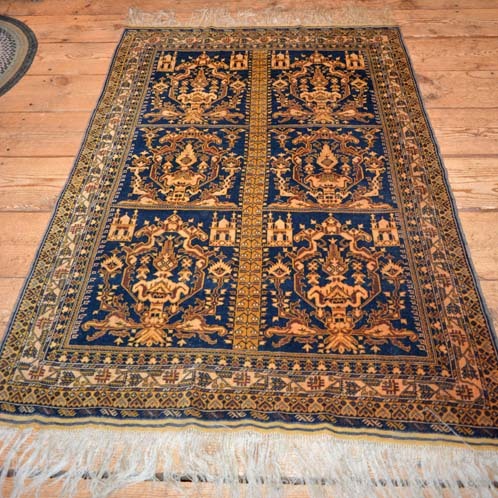 Here is a fine Oriental Rug in pristine condition. 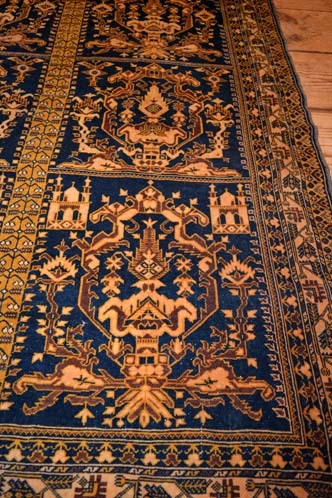 There are no stains or odors present and the colors are brilliant. 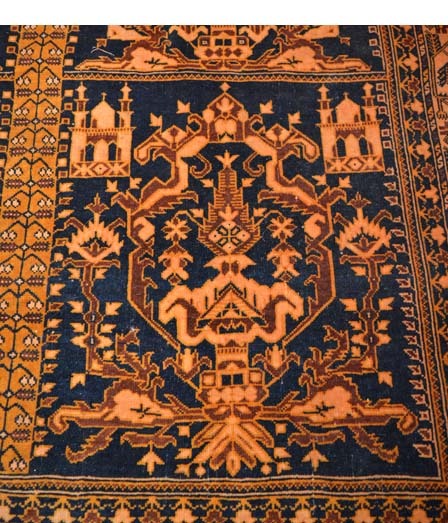 The rich combination of wheat and navy blue, with variations thereof, make the Middle Eastern pattern stand out. 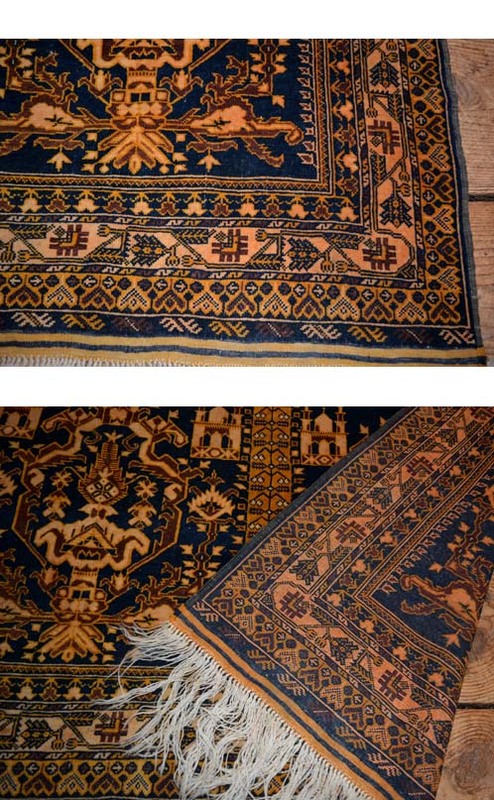 There are no tags present on this rug, so it is not new and has been well taken care of over the years. The off white fringe on each end is in tact and is a perfect finishing touch for this piece. 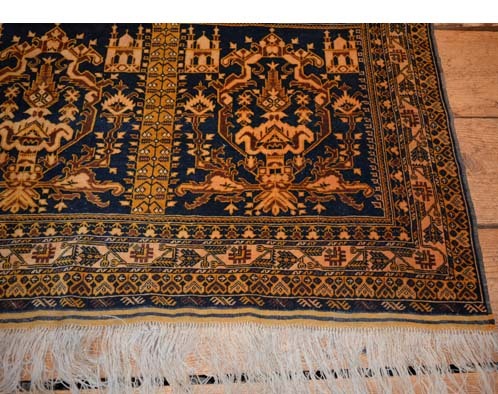 This rug is certainly worth your evaluation.